Creditors often attack asset protection plans under a theory of fraudulent transfer or fraudulent conveyance. This happens because the creditor believes the transfer was done in order to avoid payment of a debt to the creditor. Creditors can look back at transfers for a period of four years even if there was no obligation to the creditor when the transfers were completed. Fraudulent conveyance is often incorrectly confused with the tort of fraud. The torts of fraud can lead to additional damages. Florida and Federal Courts have found that a fraudulent conveyance to avoid creditors claims is not Tortious fraud and is not criminal fraud. This distinction prevents creditors from seeking additional damages available under the Tortious fraud statutes. Florida Statutes 222.30 and 726.101 provide that a creditor may seek equitable remedies to undo fraudulent conveyances made to implement an asset protection plan. This remedy is to return the property to the debtor so it is available to pay creditors. 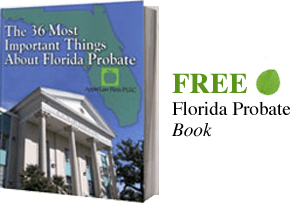 Over the last few years there have been many Florida Court decisions which have held that as long as you do not come into contact with the funds there is no liability to the agents who help you in your asset protection. The latest case, a unanimous decision has direct implication for the liability of attorneys, accountants, bankers, or other people who help transfer assets. The Florida Supreme Court in Lewis B. Freeman, etc. et al., v. First Union National Bank stands for the interpretation that FUFTA does not suggest distinct causes of action for aiding or abetting claims against non-transferees. Instead FUFTA was intended to make a law to set aside attempts to defraud creditors.